June 25, 2018 – It’s no secret that I adore Carly Simon. She’s my favorite female singer/songwriter of all time. In fact, nobody does it better than she does. The Grammy, Academy and Golden Globe winner turns 73 today. A legend in her own time, she was inducted into the Songwriters Hall of Fame in 1994. The biggest success of her career was the classic “You’re So Vain”, which prompted rumors worldwide as fans speculated who she was singing about when she crooned, “I bet you think this song is about you.” Likely suspects include Mick Jagger, Warren Beatty, Kris Kristofferson and Cat Stevens. Recent speculation, however, claims that it’s actually music and movie mogul David Geffen. Simon, who suffers from severe stage and rarely toured during her hey day. I was lucky enough to see her twice, once in the late 1970s and once in the late 1980s. With much anticipation I waited for her to announce new tour dates for venues in my neighborhood when she toured with her two children, Sally and Ben in the early 2000s. Alas, they didn’t come my way. If you’re not familiar with Simon’s music, especially the wonderful deeper cuts on her albums, give her half a chance. You won’t be disappointed. So join me in wishing Carly a Happy Birthday. It’s the right thing to do. Ok, I may have overdid it with weaving in the song titles. Can you spot how many I mentioned? There’s at least one in every paragraph. A pril 23, 2018 – I never watched Sesame Street as a child, but I treasure the moments I shared watching it with my son when he was a toddler. Sesame Street was never better than it was during those years. It was the mid 80s and we sang along to such classics and C is for Cookie, The Ladybug Picnic and the Peanut Butter and Jelly song, sung tenor style to the tune of the graduation march, Pomp and Circumstance. But the best songs were the Muppet inspired music videos that imitated Cyndi Lauper’s Girls Just Wanna Have Fun with Kids Just Love to Brush, the Beatles’ Let it Be with Letter B, and Billy Idol’s Rebel Yell with Rebel L. The creative geniuses behind these music videos stole the heart of every parent who watched with their kids. Thanks to YouTube.com, these oldies but goodies are still available to view. Below are my two favorites, the blues inspired Put Down the Duckie and Springsteen inspired Born to Add. December 18, 2017 – Nothing says it’s Christmastime like Alan Mann’s Christmas on the Block. If you’re a Philadelphian who listened to WMMR in the 1980’s, you’re probably familiar with this song and love it as much as I do. If not, listen to it below and I dare you to not become enchanted. Alan Mann was a local singer/songwriter who played clubs in Philly during era of The Hooters and Robert Hazard. Sadly he died in 1987 after jumping out of his South Street apartment window to escape a fire inside the building. His legacy, a touching tribute to a Philadelphia home for the blind in the Overbrook section that decorated their house with Christmas lights for their neighbors, thankfully lives on. Legend has it that it was the first music video from an independent artist to be shown on MTV, and we have Yoko Ono to thank for that. She heard the song and loved it, believing it sounded like something John Lennon would’ve written. January 30, 2016 – Today marks the anniversary of an important event in Beatles’ history. On January 30, 1969, the Beatles held their last official performance on the rooftop of Apple Records in London until the concert was interrupted and brought to a halt by the police. Later, this concert became known as their fourth film, “Let it Be”. Before the police raided the studios and rooftop, the Fab Four (with Billy Preston on organ) performed for 42 minutes, laying down tracks for “Get Back”, “I Want You (She’s So Heavy)”, “Don’t Let Me Down”, “I’ve Got a Feeling”, “Dig a Pony”, along with a few other obscure songs not written by the Beatles. Can you image what it would have been like to catch a free concert while you’re walking down the street? They did just that; it’s a shame the police couldn’t just Let it Be. Here’s a look at the boys singing “Get Back”. December 16, 2016– It was nine years ago today, on a cold Sunday morning in Maine, that one of my favorite singer/songwriters passed away. I wasn’t born yet on that original “day the music died”, back in February 1959 when Buddy Holly, Richie Valens and the Big Bopper perished in the plane crash. 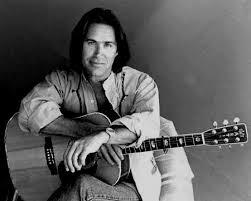 For me, those sad American Pie moments came when John Lennon and George Harrison passed, and most recently on December 16, 1997, when Dan Fogelberg left us. And yes, all of those moments made me shiver. How ironic that today is also the 45th anniversary of the single “American Pie”. Don McLean released the song on December 16, 1971. Fogelberg hit the music scene in Nashville in 1972 with the classic album “Home Free.” He went on to record 22 albums in all, and reached the Top 10 Billboard Charts with hits like “Longer”, “Leader of the Band”, “Hard to Say”, “Run for the Roses”, and “”Same Old Lang Syne”. While these are great songs, many of his best and my personal favorites were the deeper cuts on his albums. His fans keep his legacy alive by listening to his wonderful music, and the Fogelberg Foundation of Peoria, the city in Illinois where he was born honors the memory of their native son with this tribute. There are many of us “Fogelheads” who miss you, Dan, and we’re glad your music lives on. It’s hard to select a favorite from your vast collection, but the season is perfect for this one. June 24, 2016 — Carly Simon, an icon in the music industry over the past 50 years turns 71 tomorrow. I’ve listened to this great singer/songwriter all of my life. Simon’s lyrics make me feel more emotion than any other female in the industry–although Joni Mitchell is a close second–and her music never grows old. Through the years, I’ve read several books about her life, including her own Boys in the Trees, and I always learn something new and fascinating. But she wisely says that if you want to know anything about me, just listen to my lyrics. In honor of her birthday, here is a blog I wrote five years ago to commemorate the same occasion. It contains eight of Simon’s song titles in the content. Can you find them? It’s no secret that I adore Carly Simon. She’s my favorite female singer/songwriter of all time. In fact, nobody does it better than she does. The Grammy, Academy and Golden Globe winner who rose to fame during the 1970s is 66 today. A legend in her own time, she was inducted into the Songwriters Hall of Fame in 1994. Simon, who was married to singer/songwriter James Taylor, suffers from severe stage fright and rarely tours. I was lucky enough to see her twice, once in the late 1970s and once in the late 1980s. With much anticipation, I waited for her to announce new tour dates for venues in my neighborhood when she recently toured with her two children, Sally and Ben. Alas, they didn’t come my way. 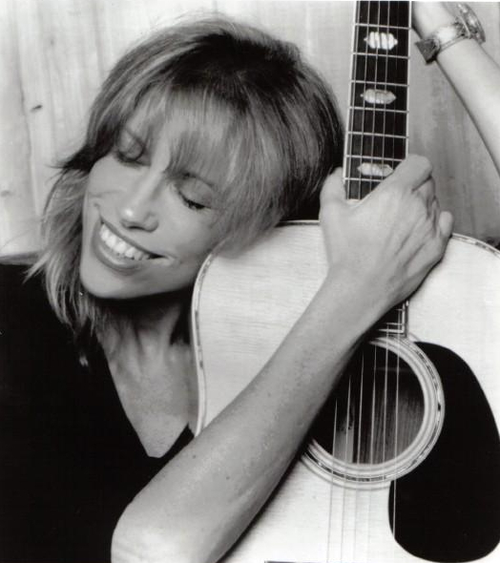 Posted on June 24, 2016 June 22, 2016 Categories MusicTags Birthday, Carly Simon, Happy Birthday, Music, Singer Songwriter2 Comments on Happy birthday, Carly!